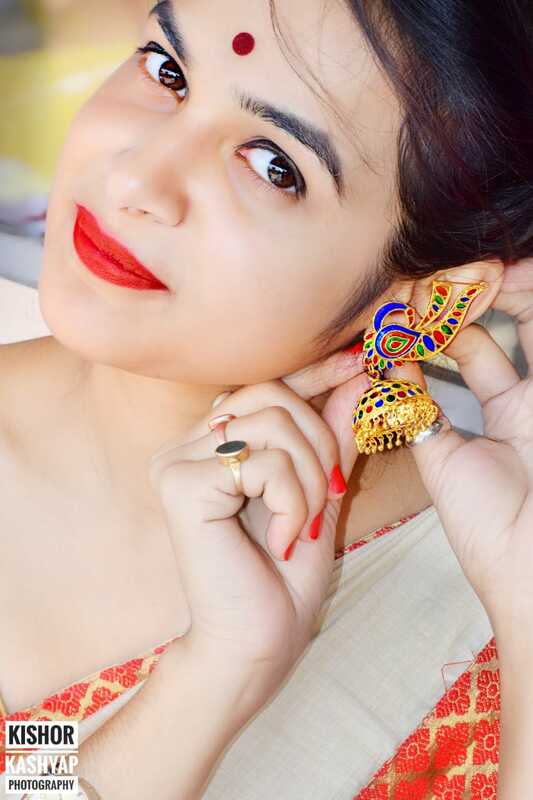 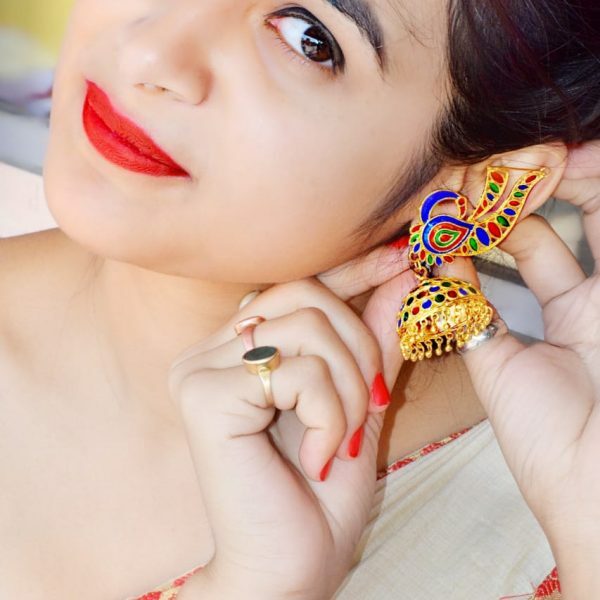 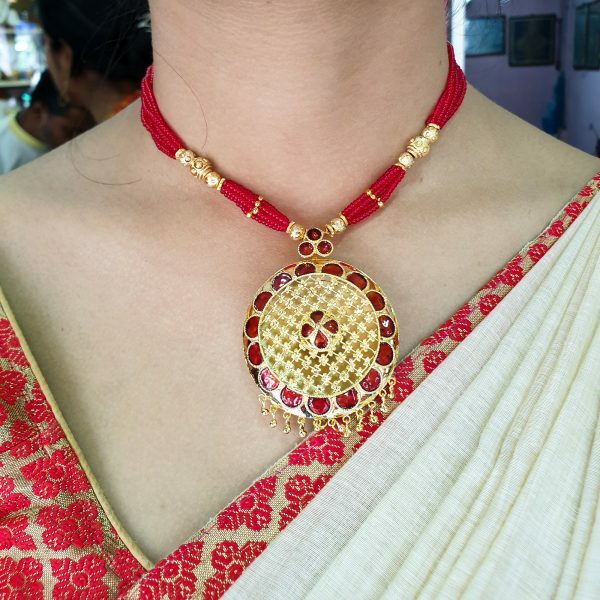 Assamese traditional Zoomka Earrings with a big Peacock is beautifully designed with multiple mina work. 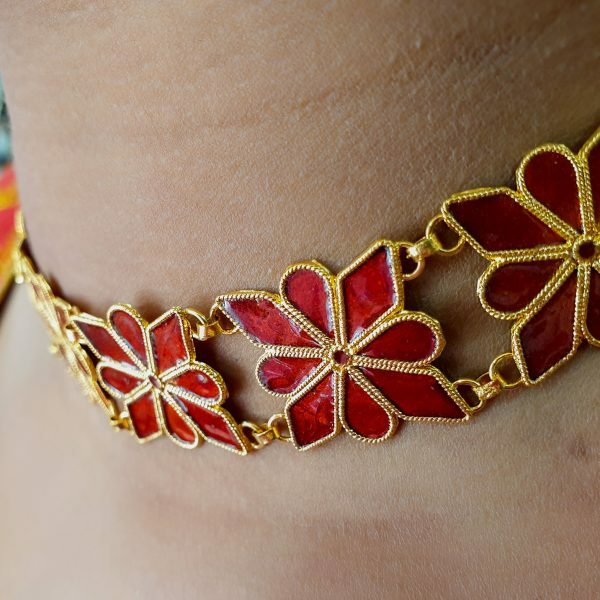 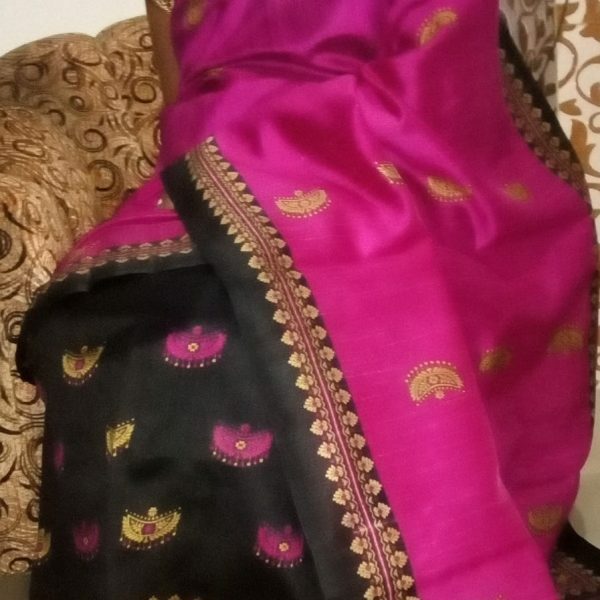 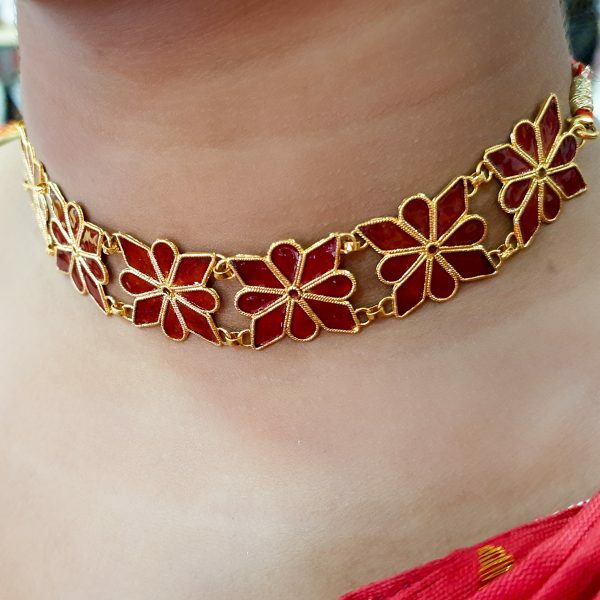 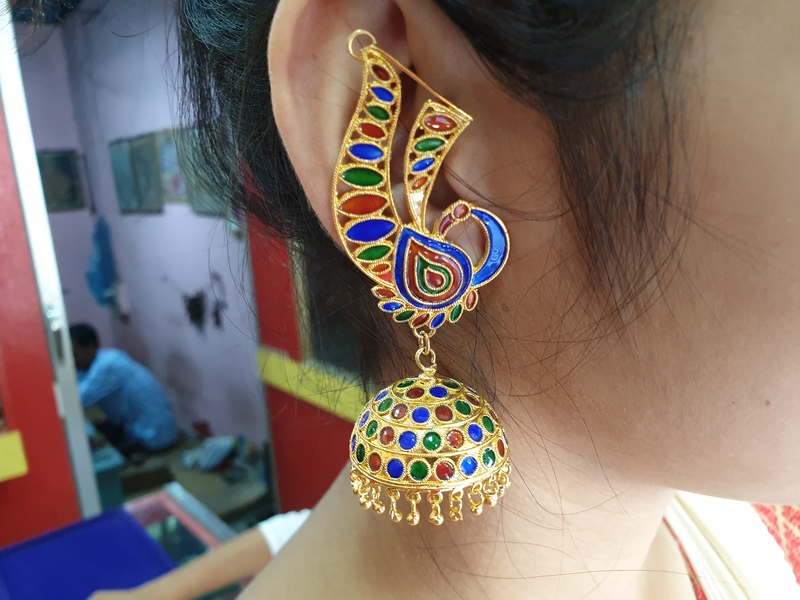 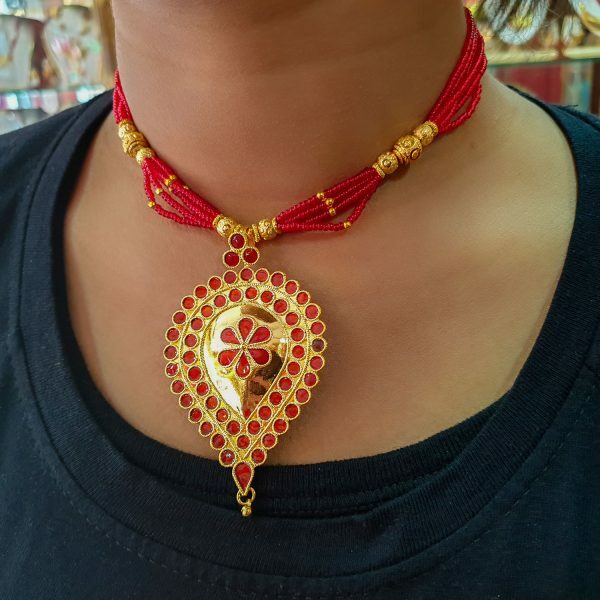 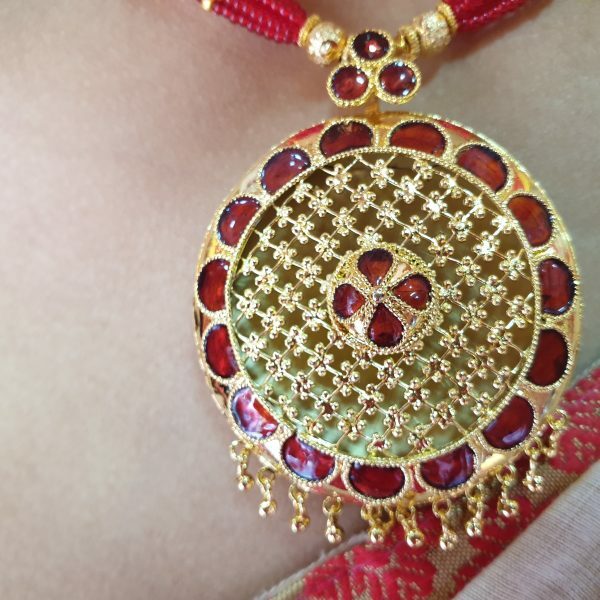 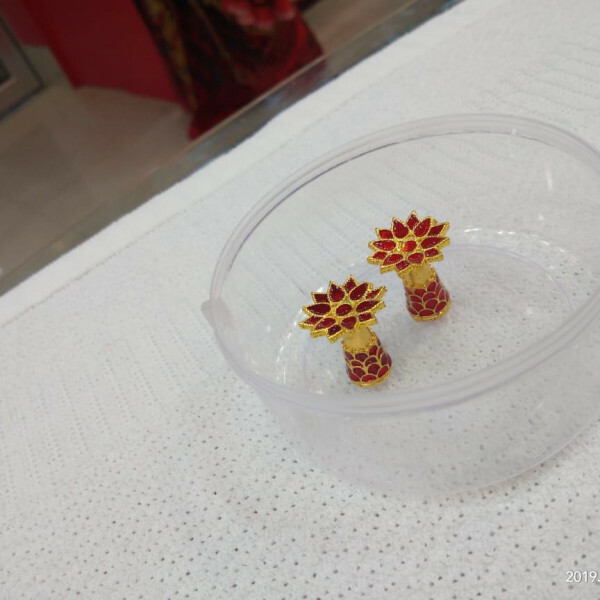 As a symbol of Nation ‘Peacock’ is beautifully designed on Earrings so that we can feel proud and confident by using this Earrings in traditional purpose. 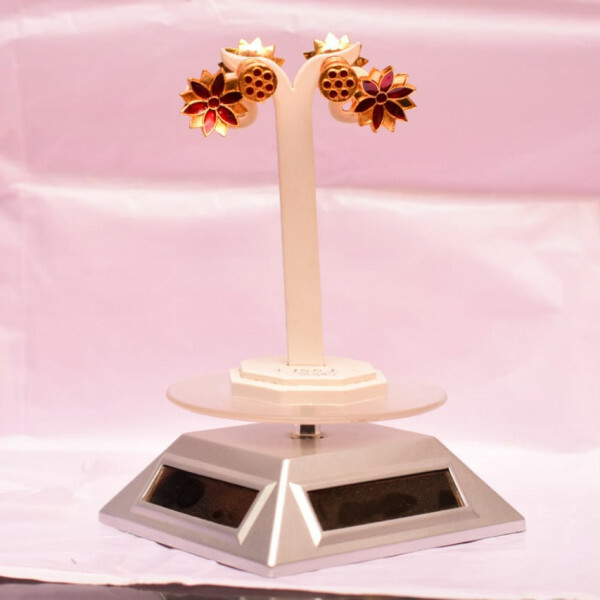 Pure Silver based this Earring set is totally home made by our craftsman and Gold polished. 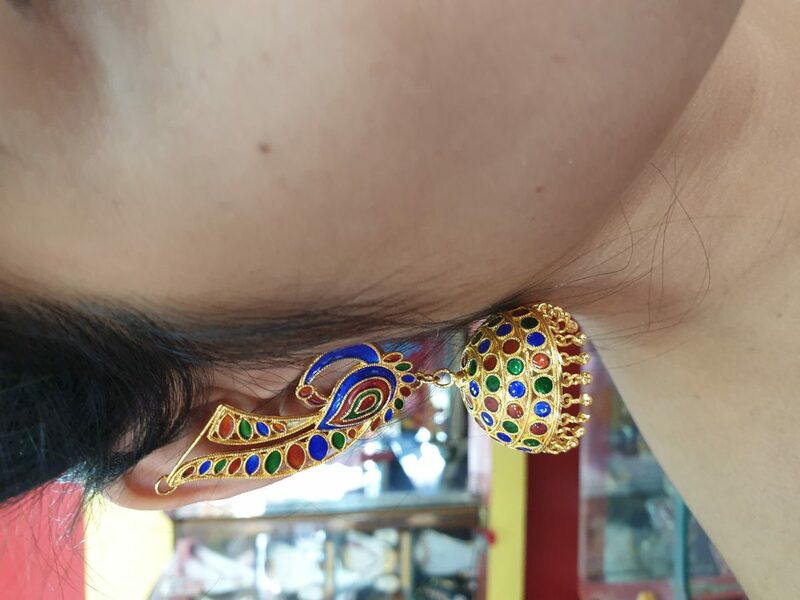 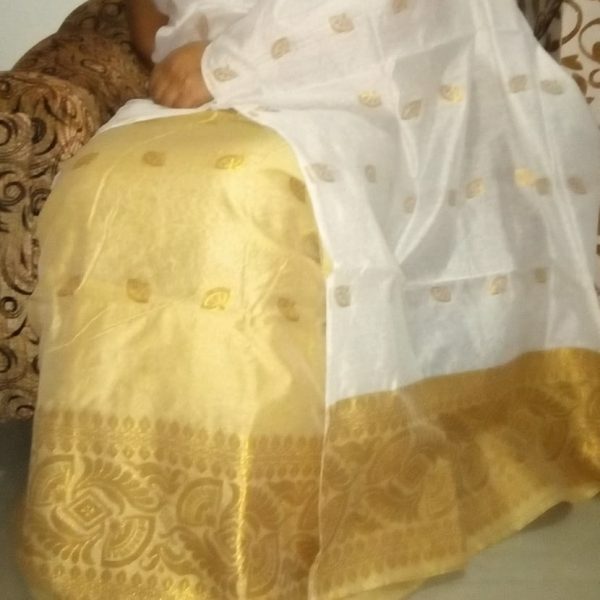 You can wear this Earring set with any type of dresses like Mekhela Sador,Saree,Salwar Suits etc. 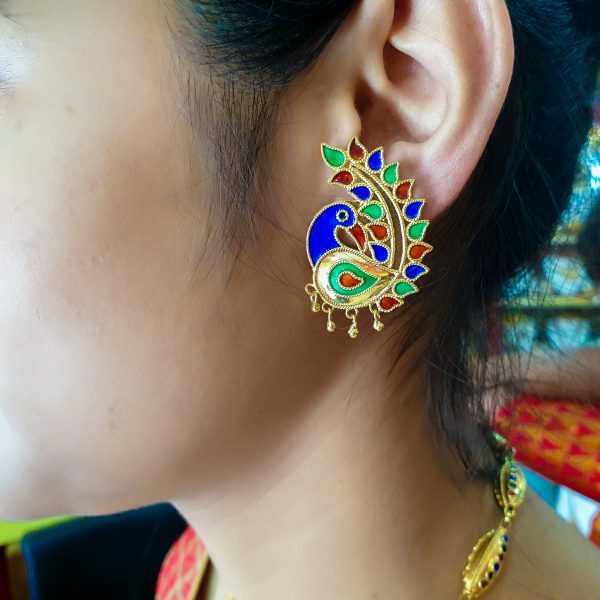 Both girls and women can use this earrings occasionally.You look more attractive by wearing this Earring set.